These days, kids have everything! With these newfangled smartphones, everything is at their fingertips. They can find the answer by doing a quick search in a web browser. They can send a message to their friends halfway across the world in the blink of an eye. They can even play a game of chess against an opponent who's living in another country. Back in the olden days, they didn't have any of that! Kids had to get up at the crack of dawn to collect the chicken eggs. They had to churn butter and gather firewood! They had to herd up animals and they had to make candles by hand! They had to cook lunch by hand with no microwave... yeah, we're glad that we don't still live in the colonial times, but it can always be fun to take a walk down our past by dressing up like our ancestors! This Colonial Village Girl Costume turns your child into a pilgrim from the Colonial Period! It comes with a pullover dress that has a cinched waist and a blue floral pattern. It has a ruffled bust and white bows on the sleeves to help bring the look together. The included fits over the shoulders and ties in the front. Finally, the hat features an elastic band to help keep it secured on your child's head. 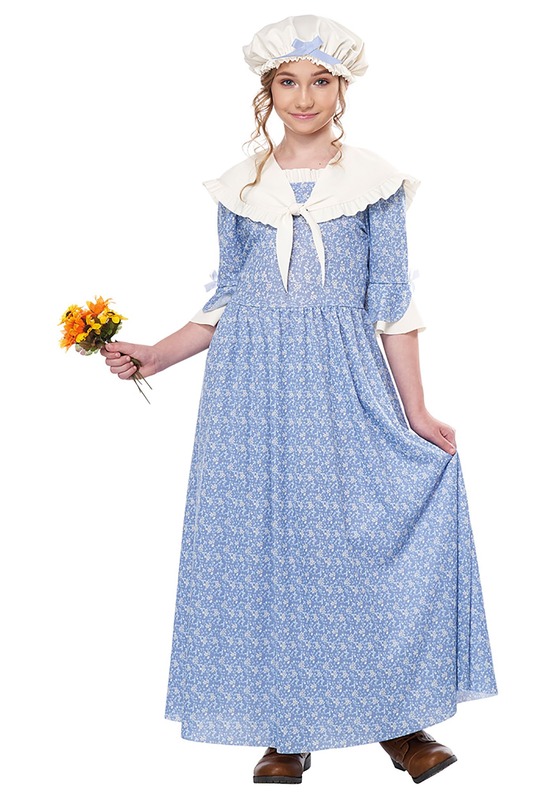 Put it all together and you have an authentic look, perfect for school plays and historical reenactments. While you don't necessarily need to make your girl give up modern day technology, you can help her learn how tough it was for the first settlers of the new world! 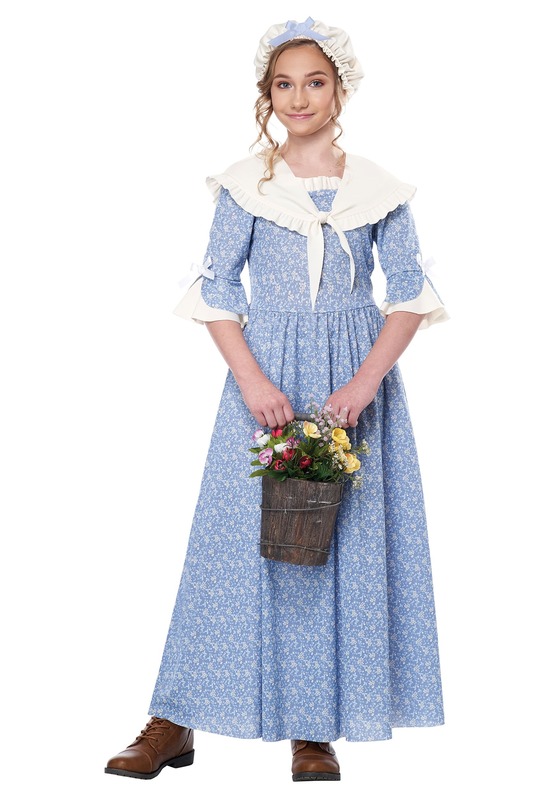 You just need this Girl's Colonial Village Girl Costume and some great fun facts from the past.